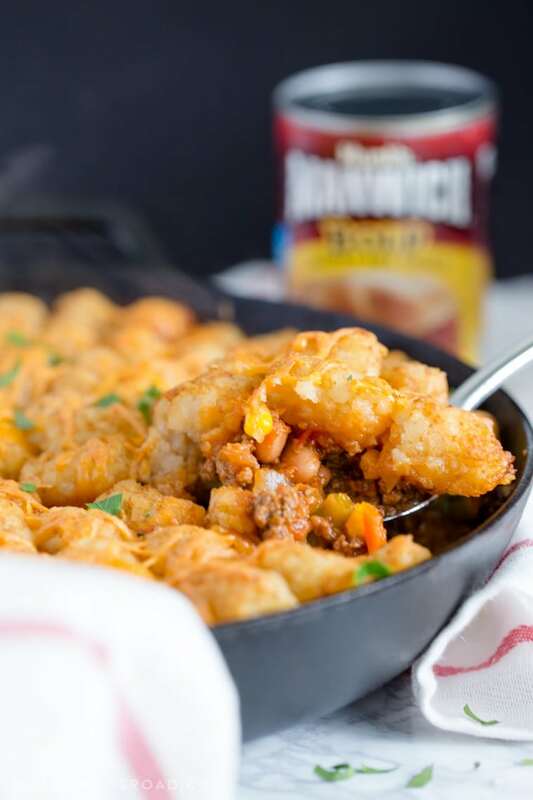 Make tonight a Manwich Night with this delicious weeknight dinner favorite – Sloppy Joe Tater Tot Pie. 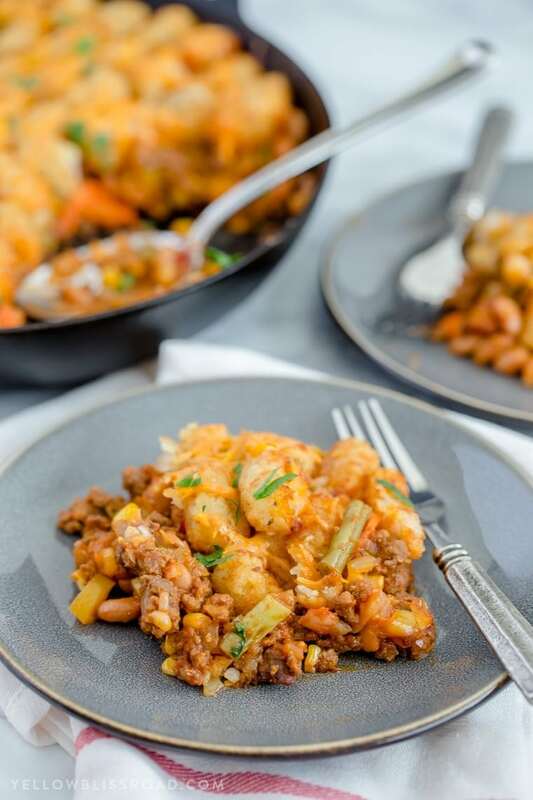 With tons of fresh veggies, ground beef and that famous Manwich Sloppy Joe Sauce – it’s sure to be a hit with your family, too! This is a sponsored post written by me on behalf of Manwich. All opinions are 100% mine. 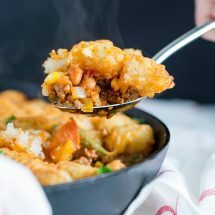 I’ve shared several Sloppy Joe recipes on the blog but I think I have a new favorite with this Sloppy Joe Tater Tot Pie. 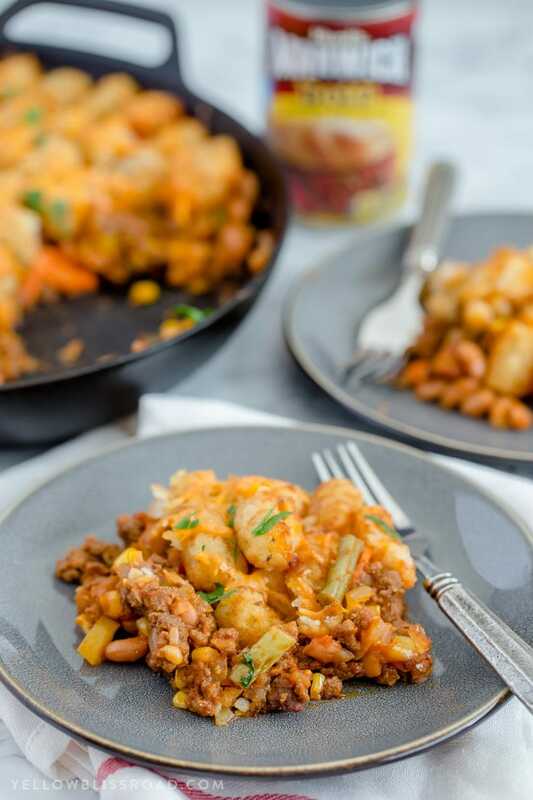 It’s got all the delicious sweet and tangy flavors I remember about Sloppy Joe night as a kid, in an updated one-skillet version with a crunchy tater tot crust. Do you remember eating sloppy joes as a kid? I remember always being super excited about Sloppy Joe night – those sandwiches were always so fun to eat! 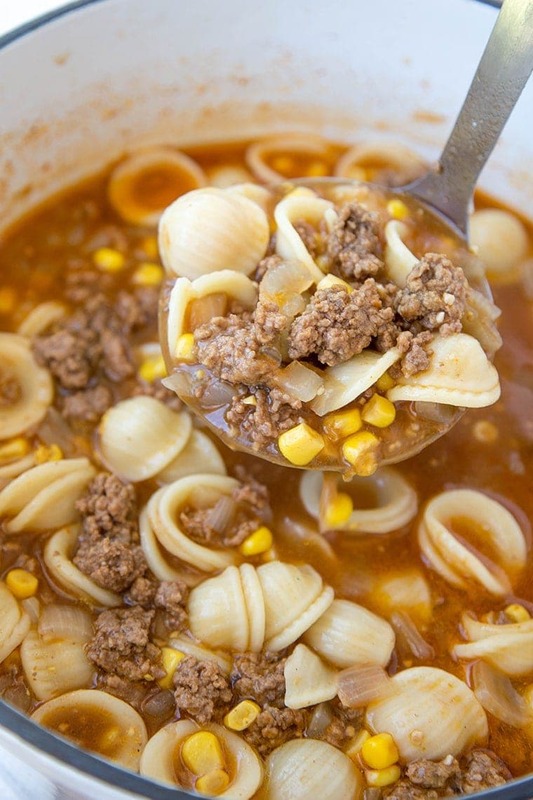 My kids love the sweet and tangy taste of Manwich too, and I love how versatile the sauce is. 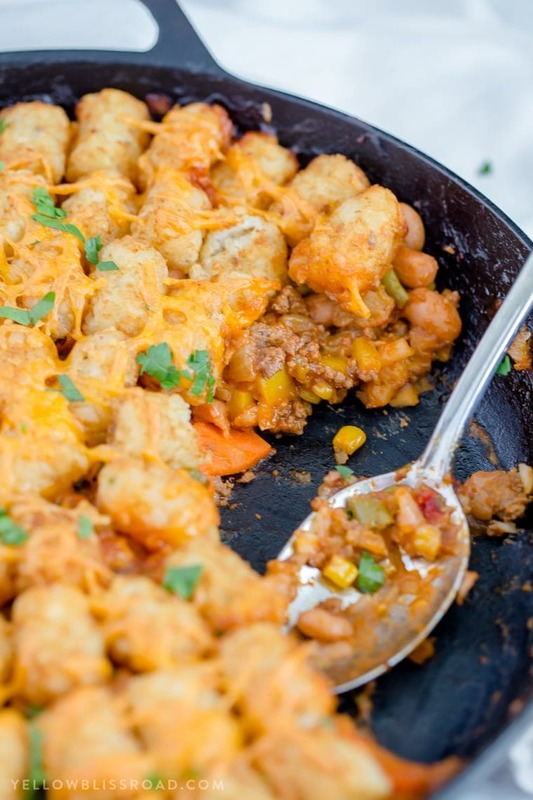 I can make anything from Pizza to pasta to this Skillet Sloppy Joe Tater Tot Pie. 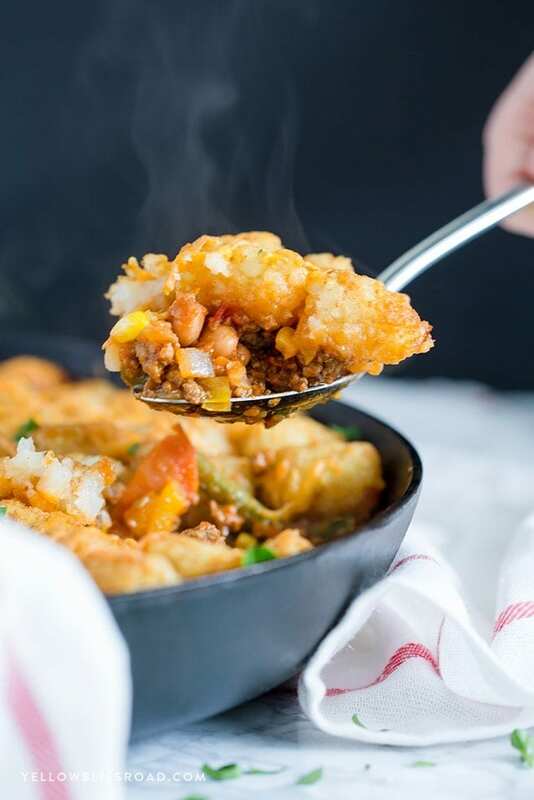 It’s quite similar to a Shepherd’s Pie, with lots of meat and veggies in a rich and flavorful sauce and topped with potatoes – I just happened to opt for the tater tot variety instead of the mashed kind that take another hour to make. It’s all about the time savers friends! 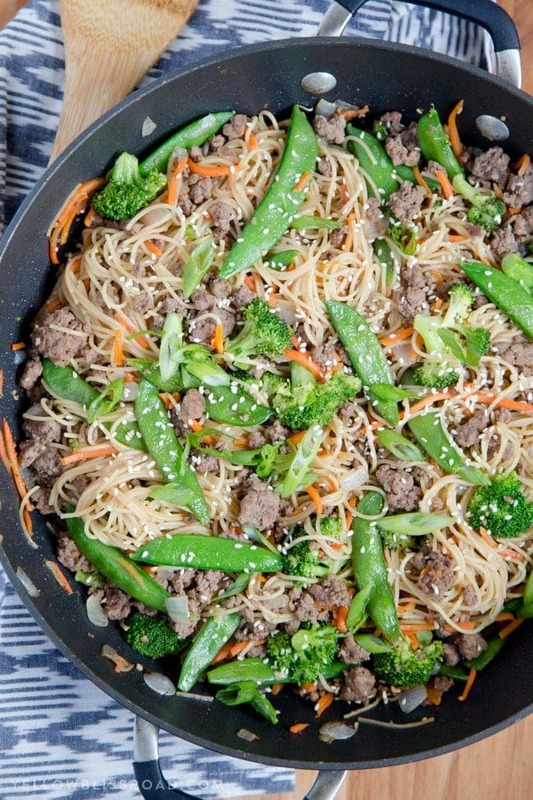 The best part of this recipe is that it all cooks in one skillet, making for super easy clean-up. First cook up the ground beef and vegetables. 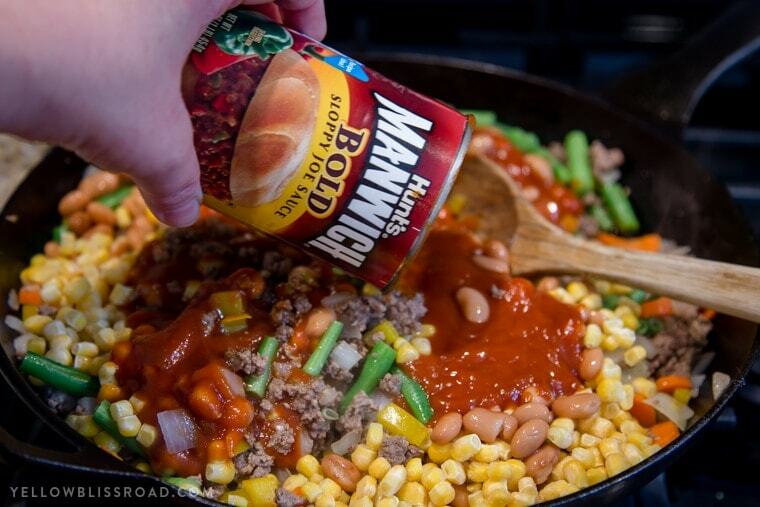 Drain any grease from the pan, then add the Manwich sauce, pinto beans and corn. 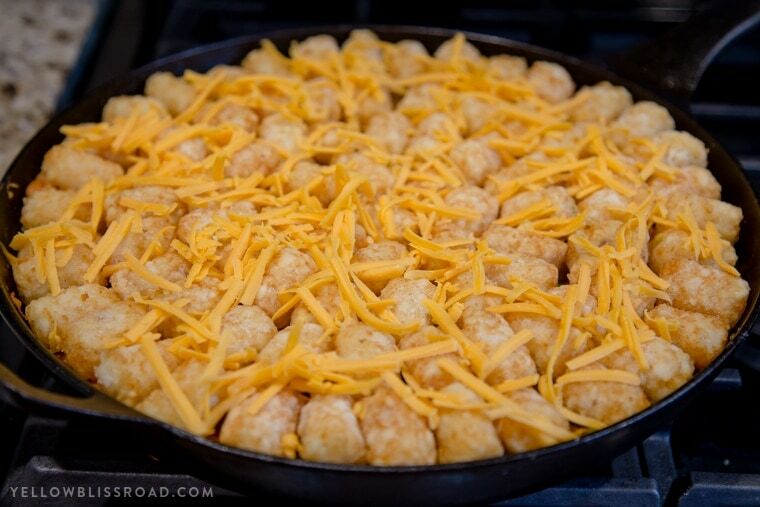 Let it all simmer together for a few minutes to thicken, then top it off with frozen tater tots. Bake for about 30 minutes, and dinner is done! 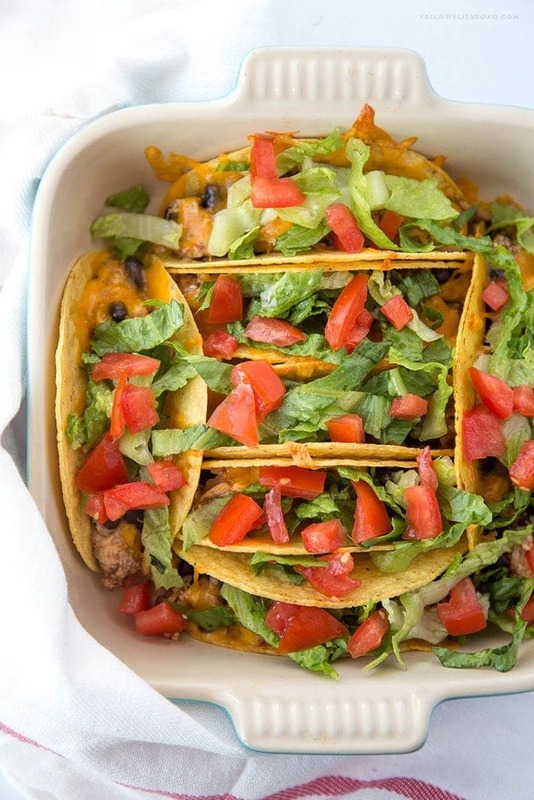 Super easy to make, super easy to serve (just take the skillet right to the table!) and super easy to clean up. Plus there are a bunch of fresh veggies so you know you’re serving your family a complete meal. (Sidenote – if you are short on time, a bag of frozen mixed veggies works great too – add them when you add the sauce). Manwich is available in three varieties, Manwich Original, Manwich Bold and Manwich Thick & Chunky. 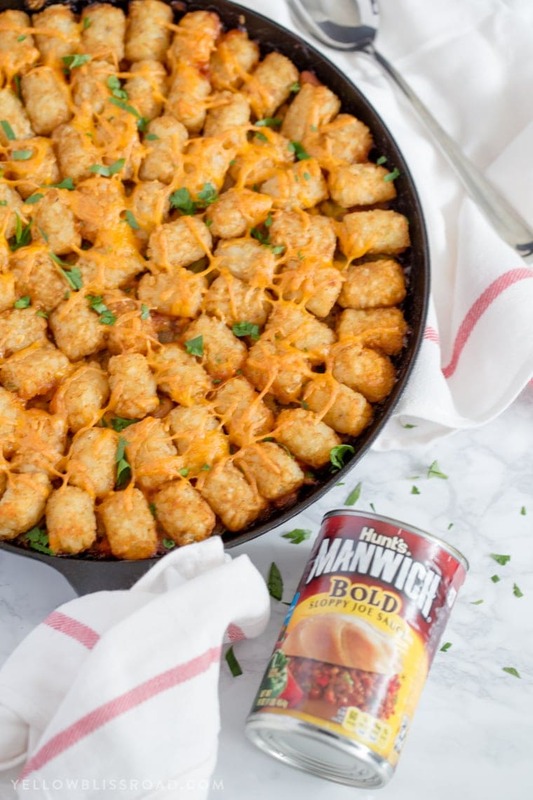 You can find recipes and more at Manwich.com, and be sure to follow @Manwich on Twitter for even more great ideas. Heat a tablespoon of olive oil in a 12-inch, oven-safe skillet oven medium heat. 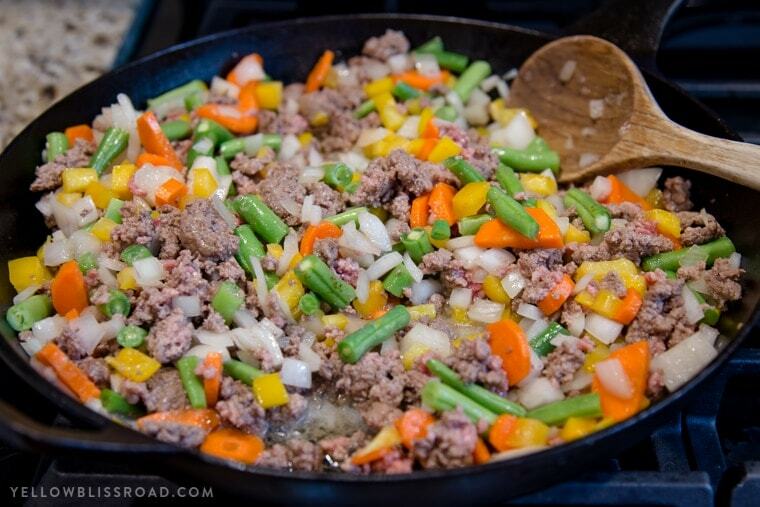 Crumble ground beef into the skillet and cook for several minutes; add diced onion, carrot, green beans and bell peppers. Cook over medium heat until beef is no longer pink and vegetables are soft. 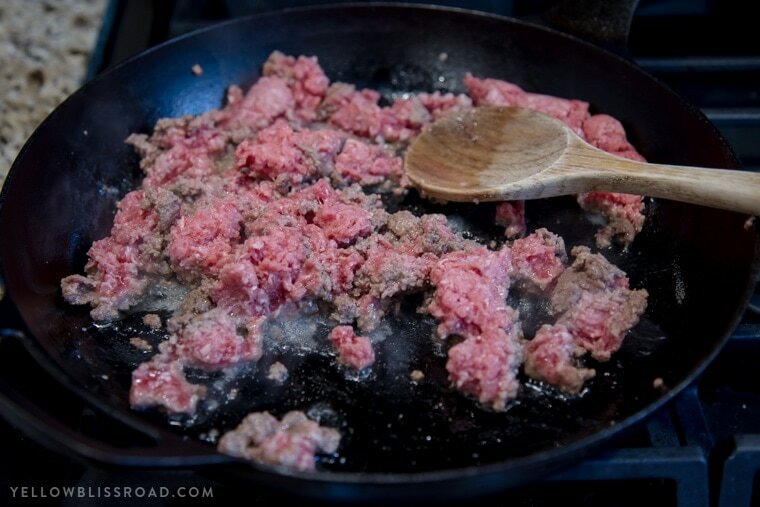 Drain grease from the pan (I just push the meat and veggies to the side and use paper towels to soak up the grease). 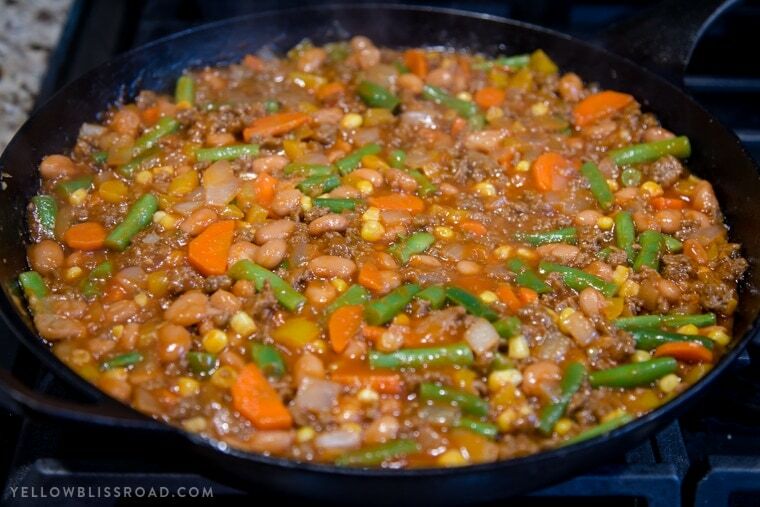 Stir in frozen corn, pinto beans and Manwich Bold Sloppy Joe Sauce. Cook for about 5 minutes, until mixture is slightly thickened. Spread evenly around the pan. 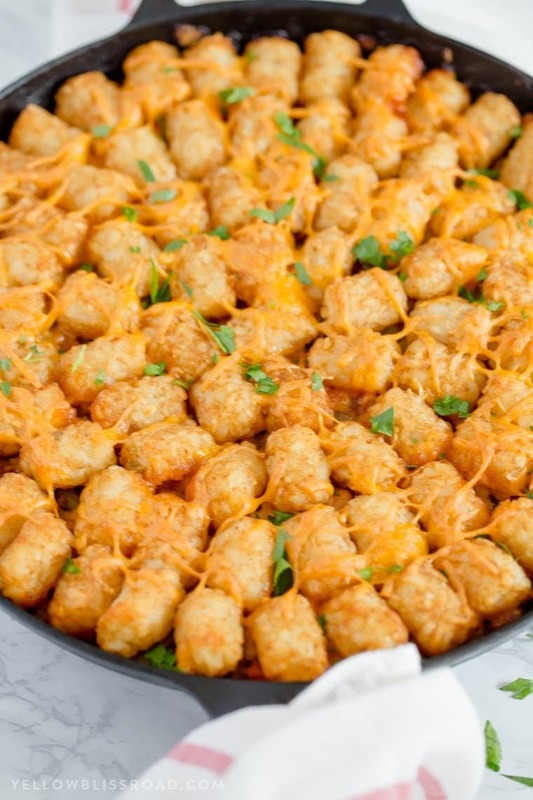 Arrange frozen tater tots on top of the beef mixture. Sprinkle with sharp cheddar cheese. Bake in the preheated oven for 30 minutes, or until tots are crispy and cheese is melted. Cool for several minutes and garnish with fresh chopped parsley (if desired) before serving. For all entrees go HERE, for the Recipe Index go HERE. This is a winner in my book! Tots and Sloppy Joes are both foods that I ate as a child. Now to have them combined into one delicious is amazing! And to top it off it all cooks in one pan. My husband is standing over my shoulder drooling. I guess I know what I need to make soon. I totally grew up eating manwich as a kid!! I want to try that bold flavor and let my kids try one of my childhood favorites. Thanks for the recipe! Looks like such a fun family meal! Such yummy comfort food. Now THIS is going to happen. I am going to stop at the store after work and get me some Manwich!!! You’ll love it, so good!! 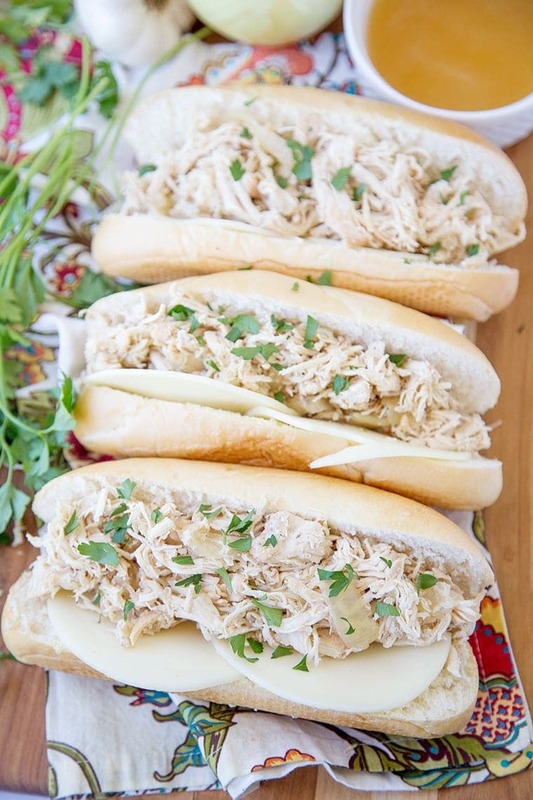 It’s a delicious way to combine two favorites!